...In no time at all. 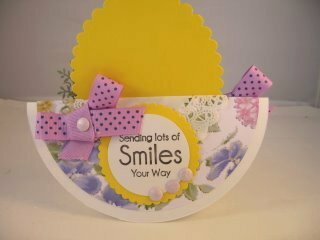 Make this card in easy steps and be really pleased with the result. 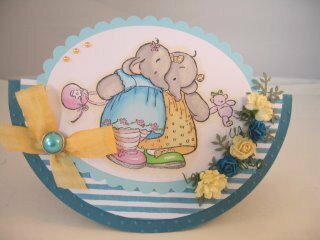 It will suit all age groups and can be used for your male cards too. 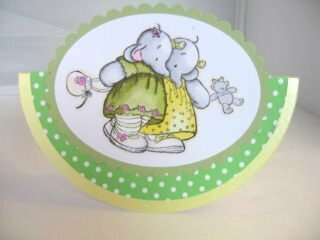 Choose the image that you want to add to your card and colour it in with your prefered medium. I find it easier to select my colour scheme before I start to work on the image, and I have layered it onto some green card. 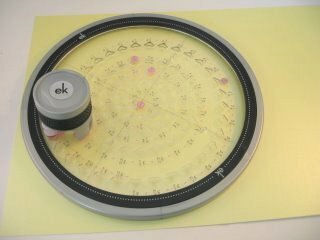 To make the base you will need to cut some circles. 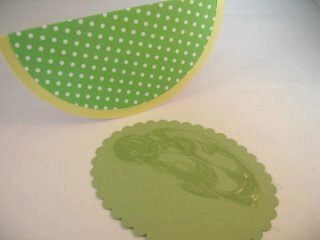 This can be achieved by simply tracing around a plate and cutting it out carefully. But use whatever way you have available to you. 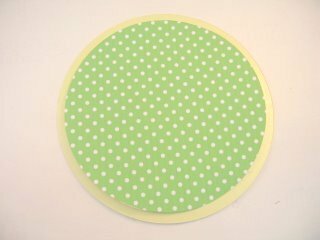 I have used the Circle Cutter to produce mine. 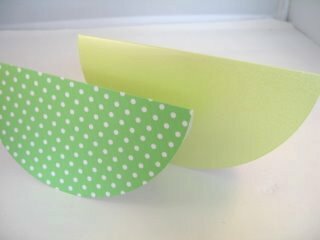 I have cut the largest circle to 6" and the smaller one at 5 1/2"
Score and fold both in the middle of each piece. Then with a wet glue mat and layer them both together leaving the small border. 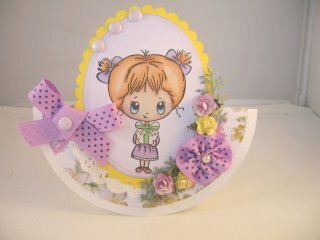 ... then add it to your rocking card base. Make sure it is in the centre area and that there is a neat border around the image. Now comes the fun part.... adding the "Bling"
I have added flowers, pearls and Glamour Dust to mine. This card will be visible from all angles. 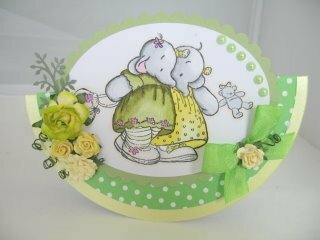 Make the most of the back and add more embellishments and the sentiment. Use any of the stamps that you have in your collection. 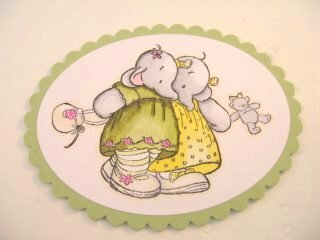 And again I have followed the theme through to the back of the card. 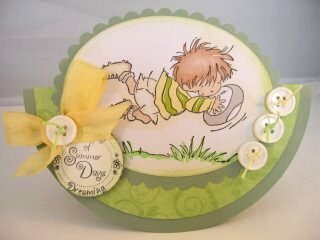 Alter the look of the card and make it for a boy by changing the image and adding buttons instead of the flowers.